Installing new windows in your home can often be a necessity, if you have older windows that are warped or chipped or that don’t fit the frame properly for any reason. Broken panes also need to be replaced immediately for your home’s safety and security. However, have you ever thought about how to improve your home’s overall value with a window contractor Oak Brook IL? Not many homeowners equate new windows with an increase in a home’s value, but there are several reasons why a new install can actually increase the value of your home. 1. Windows affect your home’s appearance. A home’s appearance affects its overall value no matter what. Energy efficient appliances in an unappealing color will not increase the value of the home simply because of their appearance, and new vinyl siding in a bright and loud color can actually decrease a home’s value simply because of how it looks. 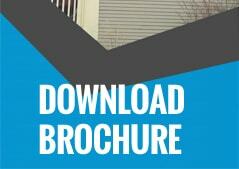 This applies to your home’s exterior appearance. Older windows may fit properly and insulate just fine, but if they look old and worn out, they will decrease a home’s value. Newer, bigger windows and special features such as bay windows or picture windows can automatically increase a home’s value simply because the home looks better with these features. 2. Energy efficiency always increases a home’s value. New homebuyers look for things like energy efficient appliances as well as double-paned or glazed windows, as they know these will save them money on utilities. Energy costs typically increase every year and are a large part of a person’s budget, so anything they can do to decrease those costs will make a home more appealing. New windows that fit properly and that help to insulate a space can in turn make the home more valuable overall. 3. Upgraded windows make a space look more inviting. As with making the home’s exterior look more appealing, upgraded windows can make the interior space more inviting as well. Larger windows bring in more light and this can make the space seem brighter. A bay window can make a space seem more inviting and even increase seating. Wood window frames may give a home more character and vinyl can make it seem more updated. These are just some of the ways a window contractor Oak Brook IL may increase a home’s overall value! Contact us today for a free, no-nonsense quote at (708) 204-2446 or click on our contact form for a super fast response!. 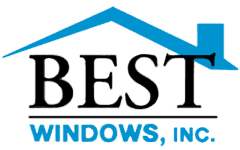 You can also visit our website Bestwindows.net to know more about window contractor Oak Brook IL.